On October 3, new rules created by the Consumer Financial Protection Bureau took effect to prevent predatory lending practices and homebuyer and seller confusion at the closing table. The new laws are formally known as the Truth In Lending Act (TILA) and the Real Estate Settlement Procedures Act (RESPA), but you may have also heard them referred to as TRID (TILA/RESPA Integrated Disclosure) or the Know Before You Owe Rule. A form called the Loan Estimate replaces the Good Faith Estimate disclosure and the Truth-in-Lending disclosure that you get from your lender at the beginning of the qualifying process. Prior to the new rules, each lender could require extensive documentation as part of a loan application. Now all that you need to provide is your name, income, Social Security number (for a credit check), address of the home you hope to purchase, estimate of the home’s value, and how much you want to borrow. By simplifying the paperwork, it is expected that loans will be easier to apply for, and therefore buyers will have more options to choose from. The Truth-in-Lending form explained the expenses of taking out a loan, such as interest over time. You still receive this information, but it is now combined into one form. A form called the Closing Disclosure, which you get toward the end of the process, replaces the second Truth-in-Lending Disclosure and the HUD-1 (Settlement Statement). The HUD-1 form was an itemized list of the transfer of money between buyer and seller. It accounted for items such as commissions to the agents and additional sums paid by either party. For example, if a seller agreed to pay the buyer for a repair recommended during the home inspection, it would be noted here. Previously a buyer received an updated Truth-in-Lending disclosure accounting for changes that occurred after the initial estimate, such as a new credit score or a change in interest rates. This information is now combined with the HUD-1 into the Closing Disclosure. The new forms use many of the same terms and data fields as their predecessors, but there are some changes. Check out the Home Loan Tool Kit from the CFPB to see what’s different. 2. You’ll get those forms earlier. Previously, buyers often had to wait until closing to actually see and review their closing paperwork. Now, lenders must deliver the Closing Disclosure to buyers no fewer than three days before the closing date so there’s time to review it. 3. Potentially longer time before closing. There are new limits regarding how much fees can increase from the time of the initial Loan Estimate to the Closing Disclosure. Changes in interest rates or discoveries during inspection are among the things that can cause a change. If the changes are not within the CFPB’s defined list of acceptable variances, the timing of the process may be reset and you’ll have to wait another three days to close. You may want to add a few extra days to each end in planning if you’re cutting it close with back-to-back settlement dates for the property you’re selling and the one you’re buying. Each situation is unique. 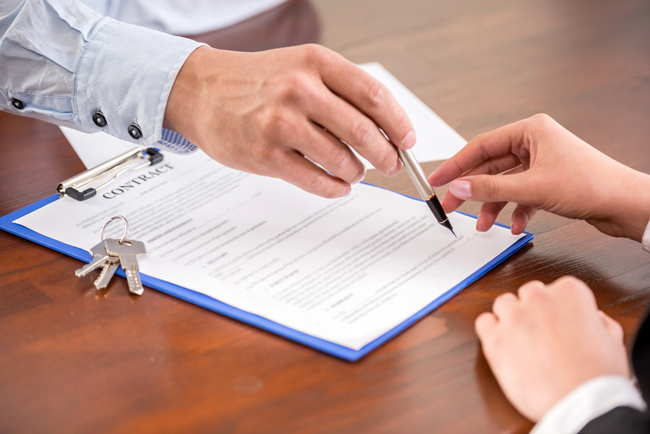 Curious how the new laws might impact your real estate transaction? Agents have spent months studying and preparing for these changes, and can help answer some of your questions. Find one here.